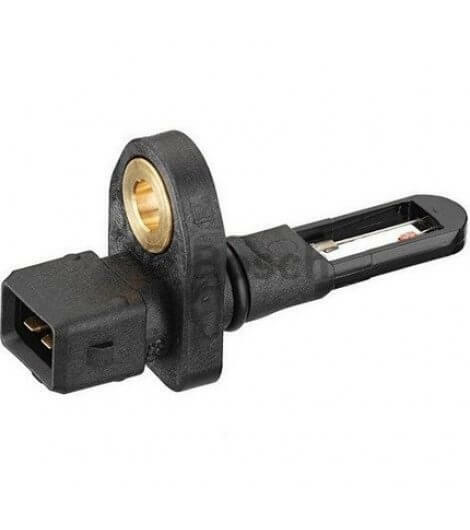 The engine temperature sensor measures the engine temperature and forwards an electrical single to the ECU. The sensor consists of a NTC resistor which is embedded in a threaded sleeve or in a plastic casing. The signal engine temperature is of particular importance for the start and warm up phase.